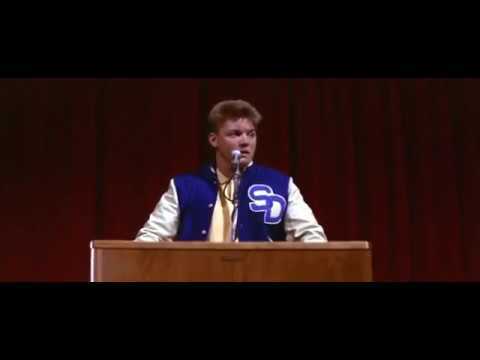 San Dimas High School and associated football team "rule"
San Dimas High School, famed alma mater of Bill S. Preston, ESQ. and Ted "Theodore" Logan, is ready to host The Wyld Stallyns, if the new Bill and Ted 3 needs a high school location. Being excellent / Bill and Ted / Party on dudes! Thank you both, and everyone else on the project, for working so hard to bring Bill S. Preston and Ted "Theodore" Logan back to us. Clearly it has not been easy. They have been missed. Only three hours left to win a role in "Bill and Ted Face the Music"
The strongest news we've heard that Bill and Ted Face the Music will actually be made is that they are now auctioning off a walk on role for charity. There are three hours left to bid. The proceeds go to Homes for Our Troops. I hope you win! With Veteran's Day starting off the week, the charity group Homes For Our Troops kicked off a celebrity-fueled series of auctions to raise funds for their cause. While you can bid on everything from a Game of Thrones sweepstakes to George Clooney's motorcycle to help build accessible homes for injured veterans, a real standout gem is a walk-on role in Bill & Ted Face the Music. Writer Ed Solomon, who penned the first two installments with Chris Matheson, announced the auction via Twitter, which is going on for one day only. And that happens to be today. Perhaps strange things will yet again be afoot at the Circle K.
"Well, we're in pre-prep and are set to shoot in early 2019," Winter told The Hollywood Reporter. "So right now, all systems are go. My old line when Blockbuster was in business was that I'd never believe a film was a go until the video was at Blockbuster. But I don't know what to say anymore...Netflix?" Not long after the first official synopsis was released and Bill and Ted Face the Music looked like it was going to become a reality, Winter's co-star Keanu Reeves made some comments that chilled some of the heat fans were generating, essentially saying that the film was still looking for funding -- a consistent problem for years now. Shortly thereafter, Winter spoke at the Television Critics Association this week and told fans that despite Reeves's words of caution, the project is still moving forward a the same pace as it was. The threequel, which will see a middle-aged Bill Preston and Ted Logan trying to figure out why the future they were promised has still not happened. "The fan response has been enormous. It helped us get the financing because there was an overwhelmingly positive response to the idea of us doing this," Winter said. "Even in the age of internet comment trolling, we haven't really encountered any pervasive negativity. The concerns that I've encountered are totally valid - don't screw up the tone of the first two, make it a real Bill & Ted movie. After 27 years, metalheads Bill S. Preston Esq. 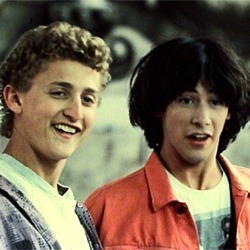 (Alex Winter) and Ted Theodore Logan (Keanu Reeves) will time travel again on the big screen in a threequel called Bill & Ted Face the Music. Currently in preproduction, Bill & Ted Face the Music will see the duo long past their days as time-traveling teenagers and now weighed down by middle age and the responsibilities of family. They’ve written thousands of tunes, but they have yet to write a good one, much less the greatest song ever written. With the fabric of time and space tearing around them, a visitor from the future warns our heroes that only their song can save life as we know it. 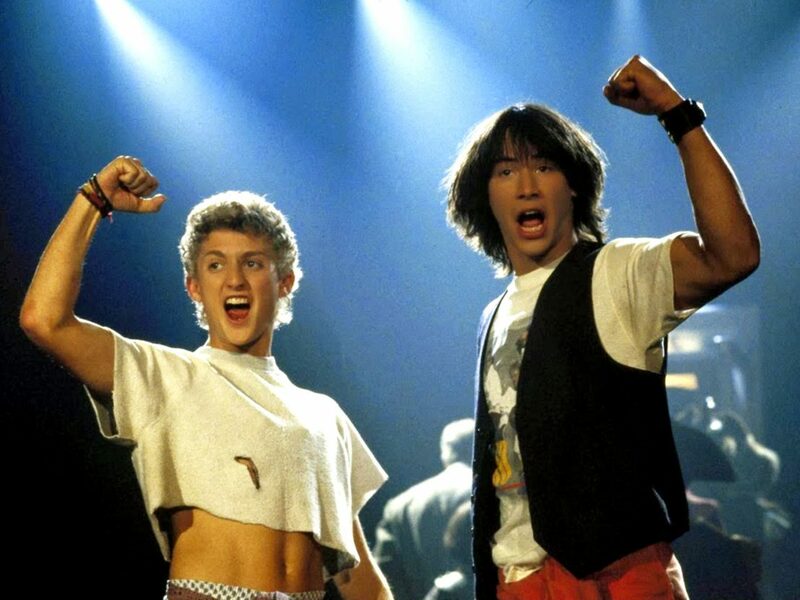 Out of luck and fresh out of inspiration, Bill and Ted set out on a time travel adventure to seek the song that will set their world right and bring harmony in the universe as we know it. Together with the aid of their daughters, a new crop of historical figures, and some sympathetic music legends, they find much, much more than just a song. “We couldn't be more excited to get the whole band back together again," said Reeves and Winter. "Chris and Ed wrote an amazing script, and with Dean at the helm we've got a dream team!"